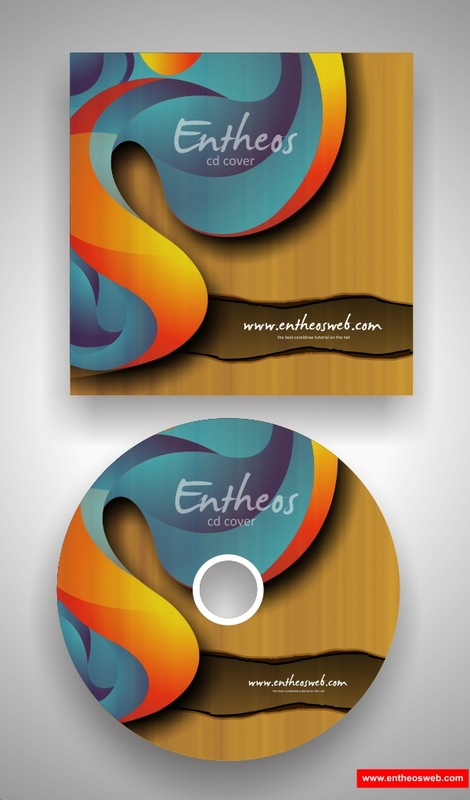 Creative Tri-fold Brochure Design Templates New! 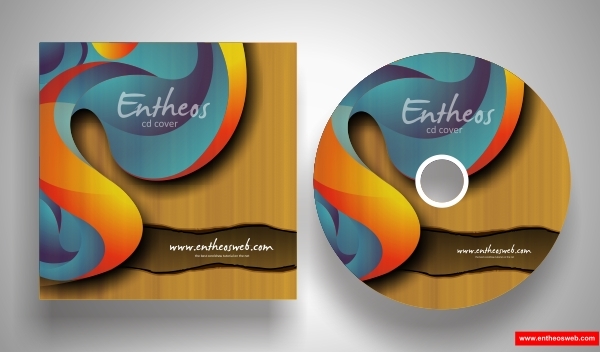 Lets make your own cool custom CD Cover! 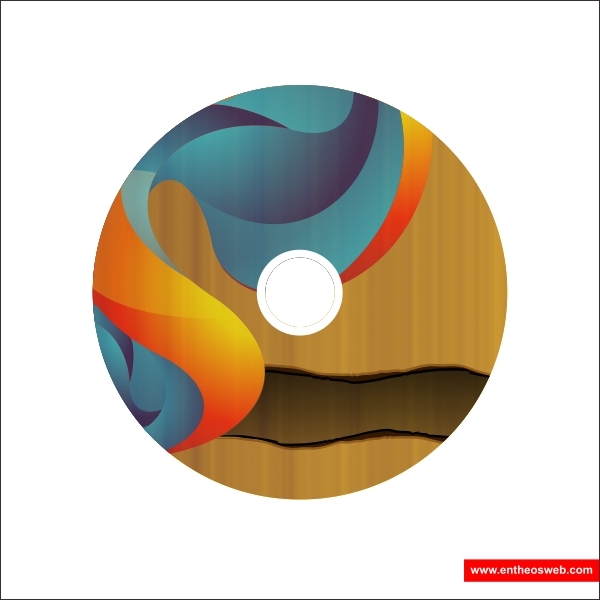 In this tutorial we will teach you the technique of creating a CD Cover with Coreldraw using simple shape tool, texturing and torn effects. 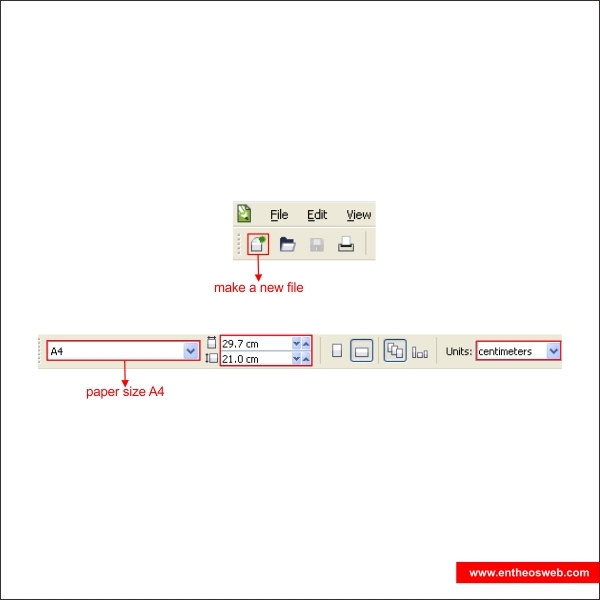 Okay, now that you know the steps and elements, we will begin, first of all open your CorelDraw program, now create a new file, set the paper size to A4 and the units to centimeters. go to the "Bezier Tool" and create a custom shape similar like below, point and click to create the line and make sure that the first click is connected to the last click or else you can't put color in it. 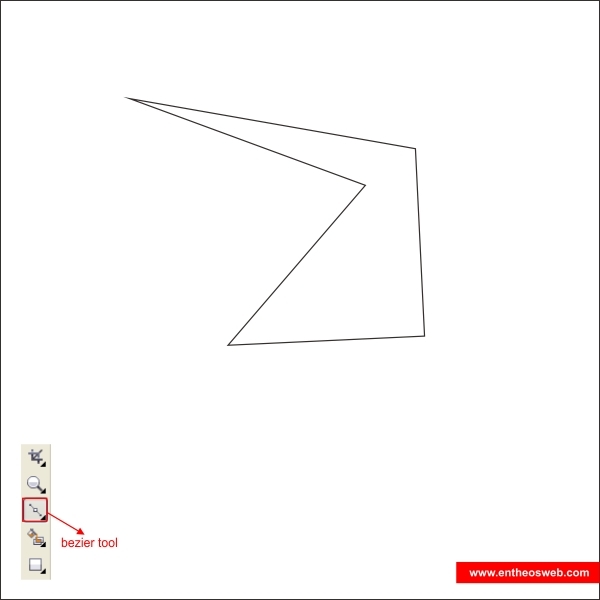 Now in the corner you will see an arrow, drag the arrow to shape. 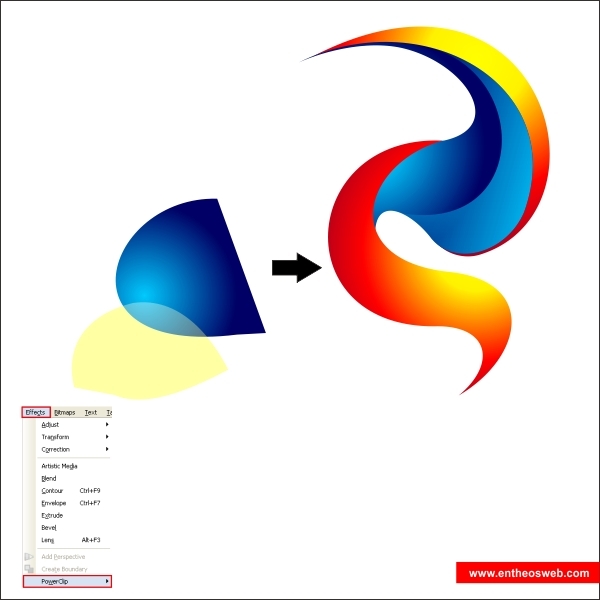 Shape it similiar like picture below. 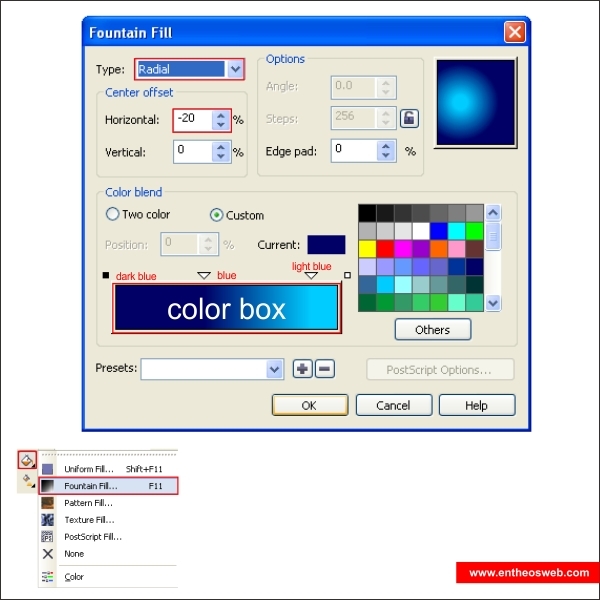 Okay now we are going to put color in the custom shape that you previously create, go to the "Fountain Fill Tool" in the left toolbar, after you see a fountain dialog box apply the value below to create a the color. 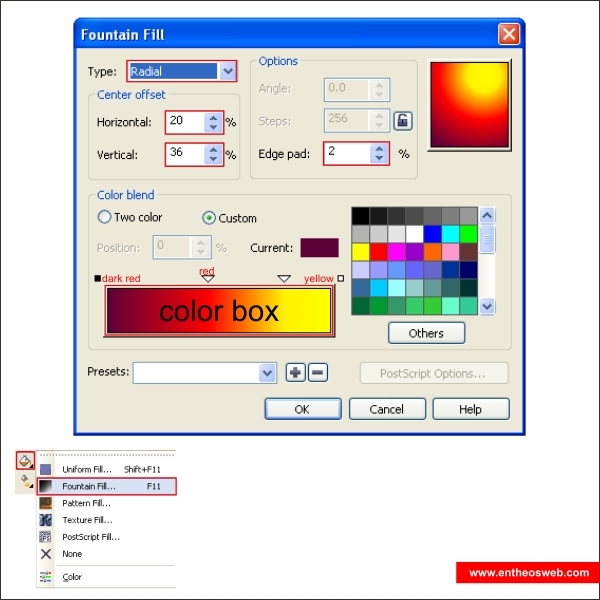 Tips : You can create a custom color by double click on the color box. 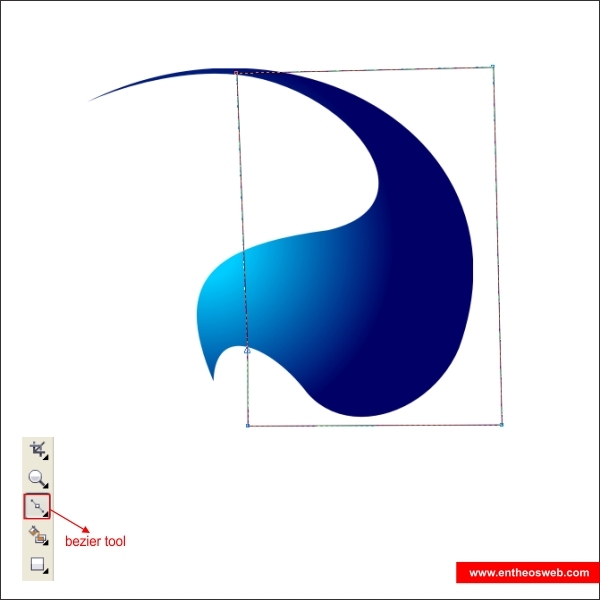 Okay now create a box shape on top of the blue custom shape using "Bezier Tool". 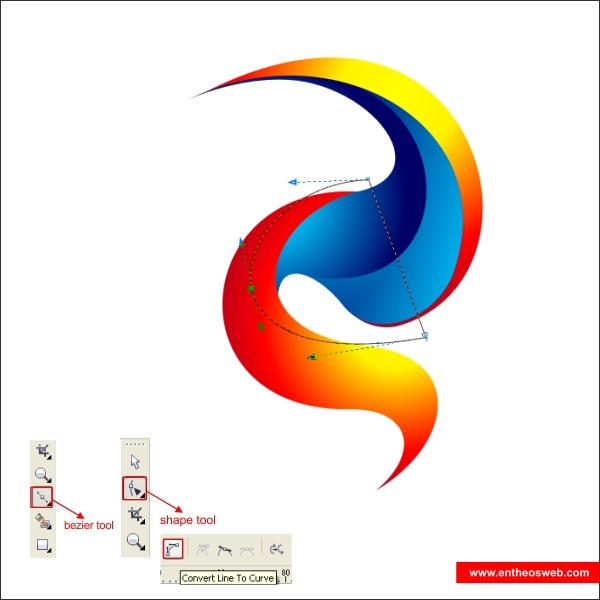 After that using "Shape Tool", create a new corner / node by double clicking it and shape it similar like picture below. 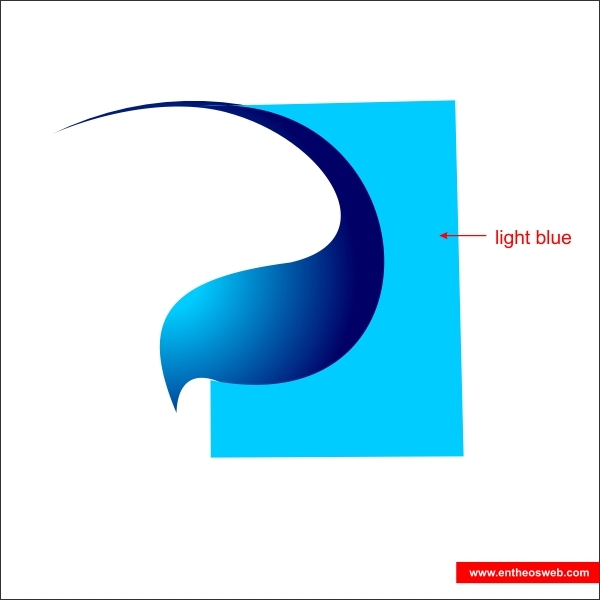 Okay now put a Light blue color on the box shape. 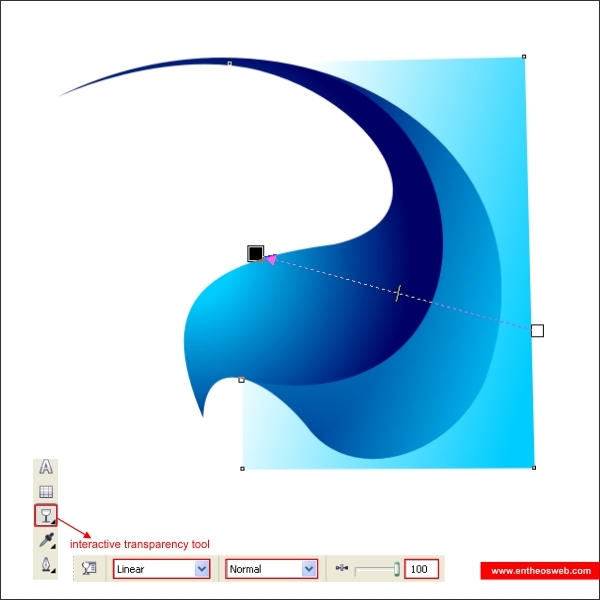 After that go to the "Transparency Tool", now you see that the cursor are turning into a glass, drag it from right side to middle so it will make the blue shape linear transparent. 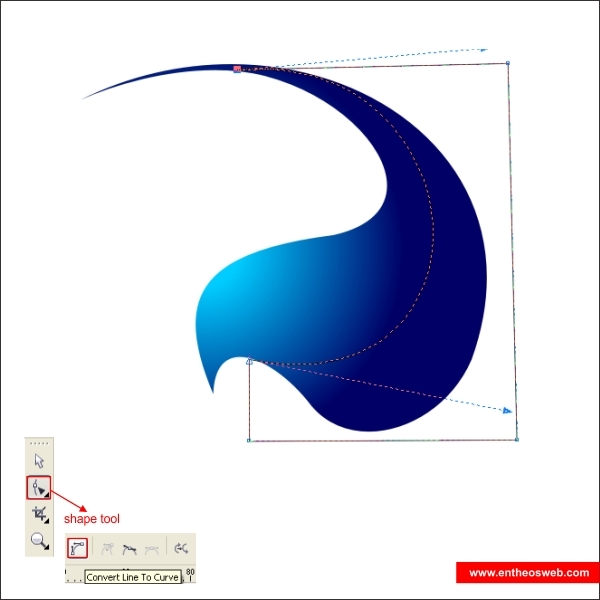 Now select the blue shape and go to the top toolbar and find Effect > PowerClip > Place inside container, after the cursor turning into a black arrow click it to the custom shape. 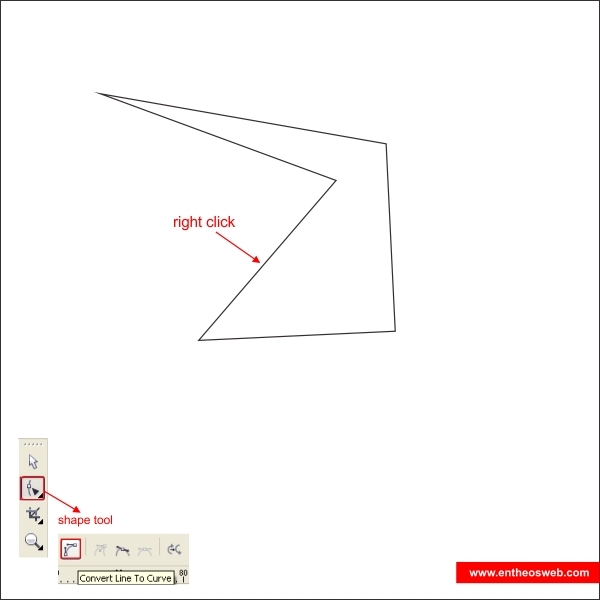 Tips : you can edit the powerclip by pressing "Ctrl + click" on the object. 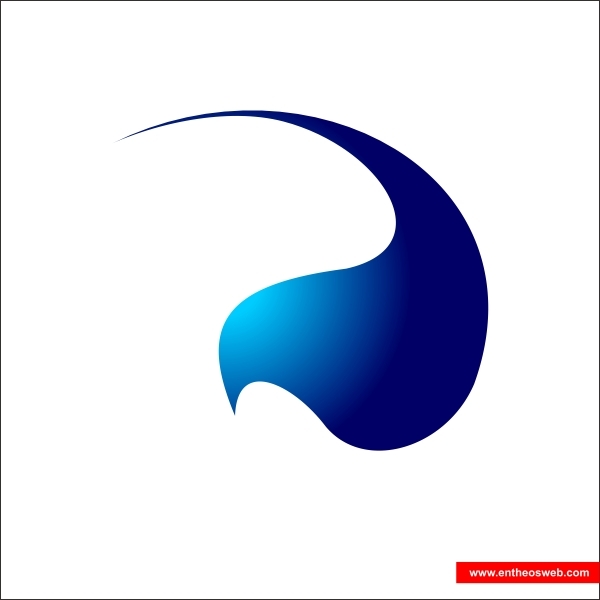 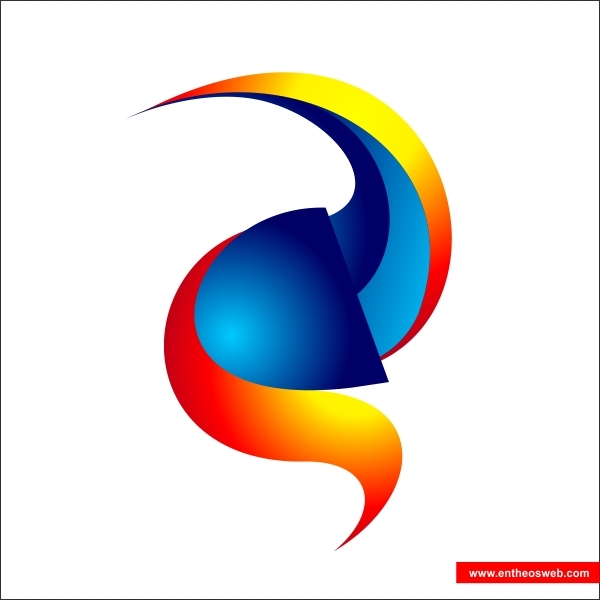 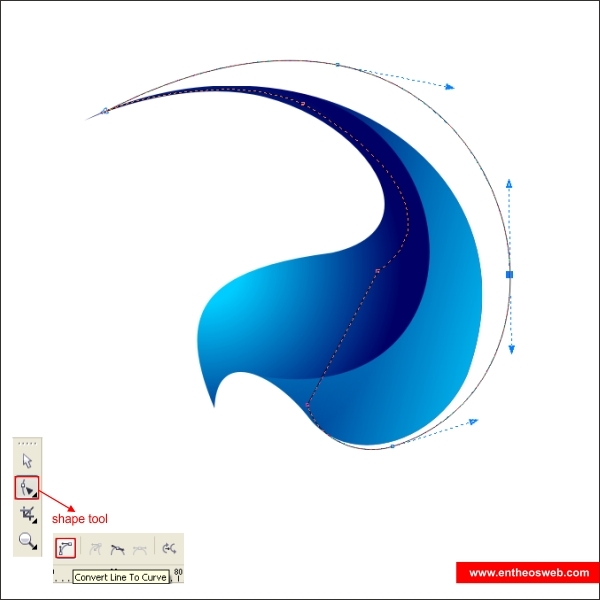 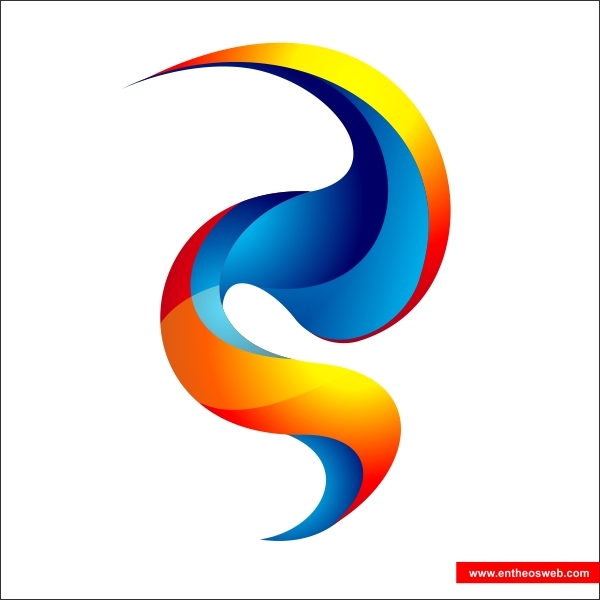 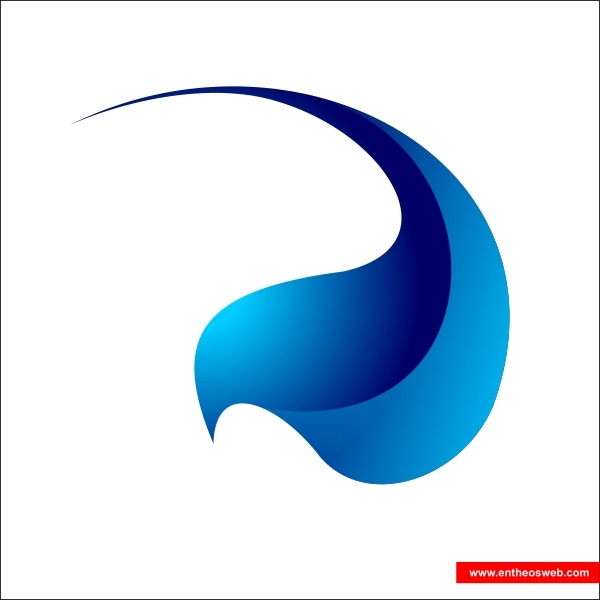 Okay now using "Bezier Tool" create a custom shape on top of the blue shape similar like picture below. 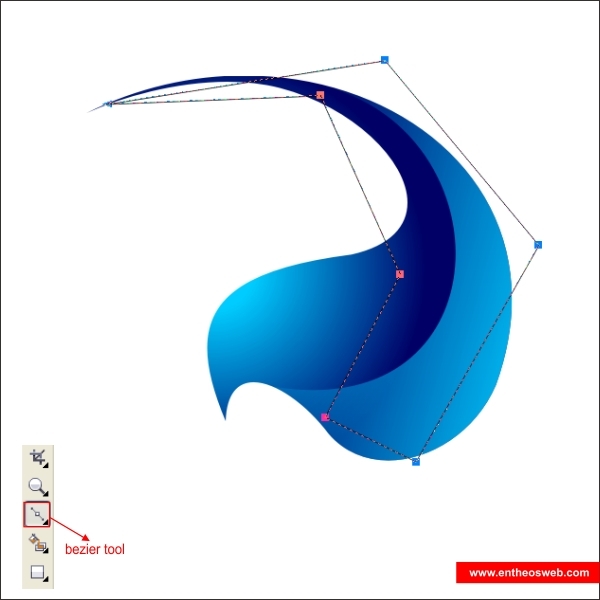 After that shape it using "Shape Tool" follow the flow of the blue shape so it will look natural. 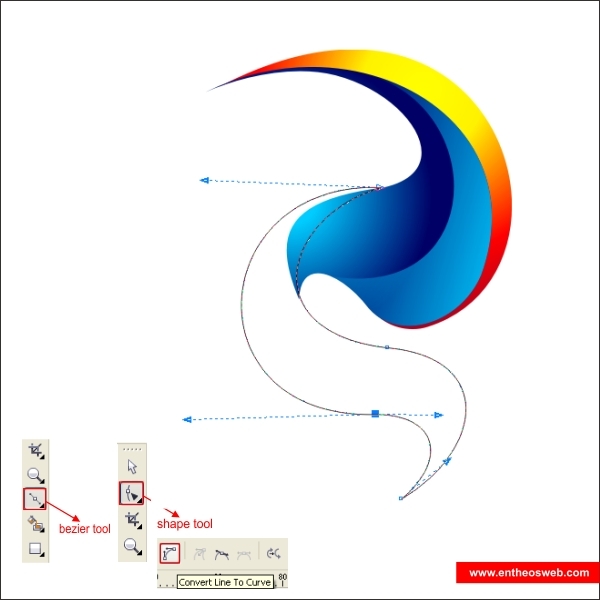 Now lets put color in it, go to the "Fountain Fill Tool" and apply the value below. 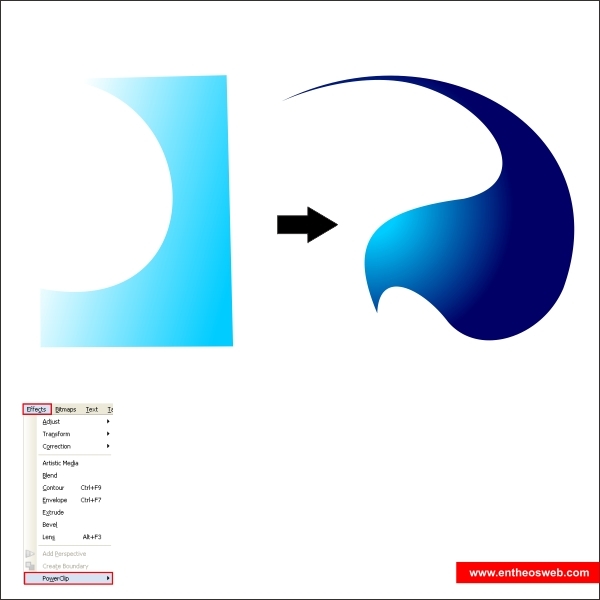 Send the custom shape to the back layer using "Ctrl + PageDown"
Using same step as steps 3, create a follow up shape on the bottom similar as picture below. 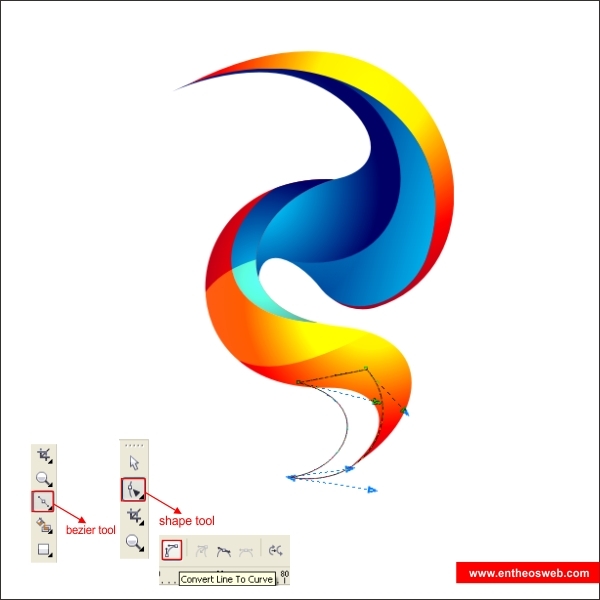 Select the follow up shape, and put color in it using "Fountain Fill Tool". After that using same step as steps 3, create a half circle shape on top of the ornaments. 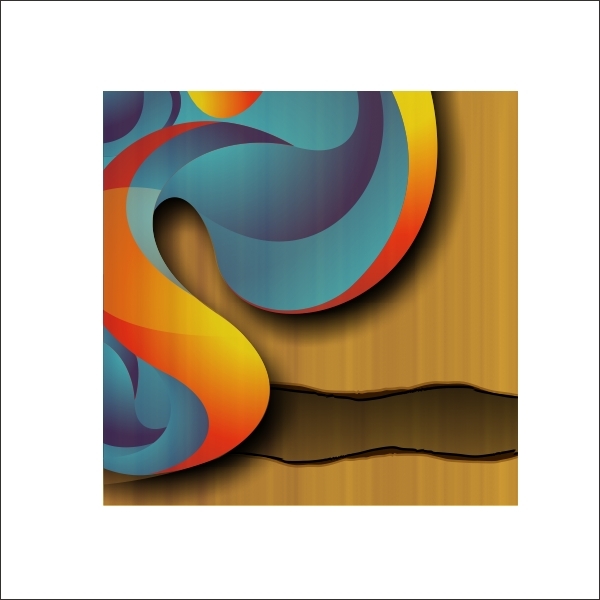 Put color on the half circle shape using "Fountain Fill Tool" and apply the value below. 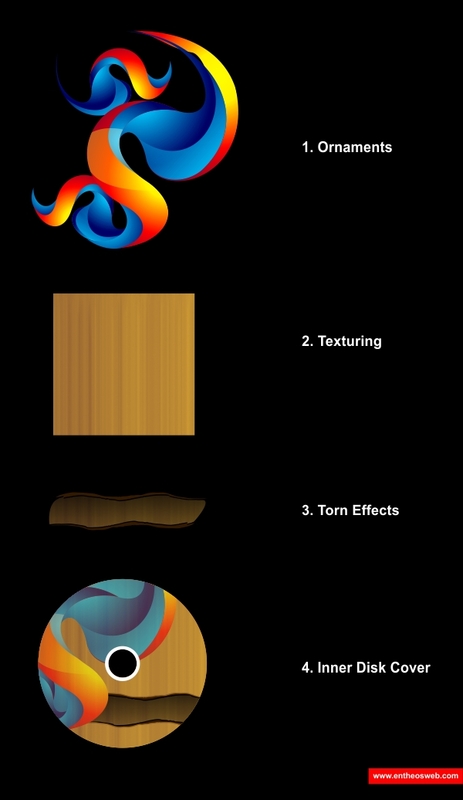 Okay now create another half circle shape on top of the ornaments. 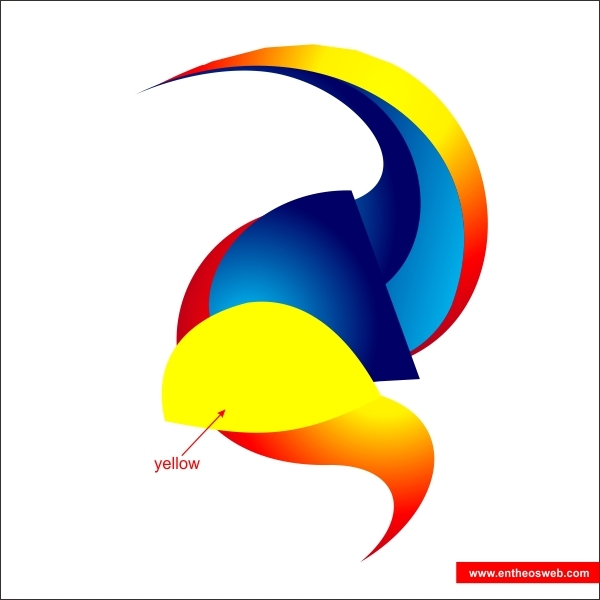 Put yellow color in it. After that go to the "Transparency Tool" and apply the value below to create similar. We are going to add another custom shape to the ornaments, go to the "Bezier & Shape Tool" and create a custom shape on the bottom of the ornaments. 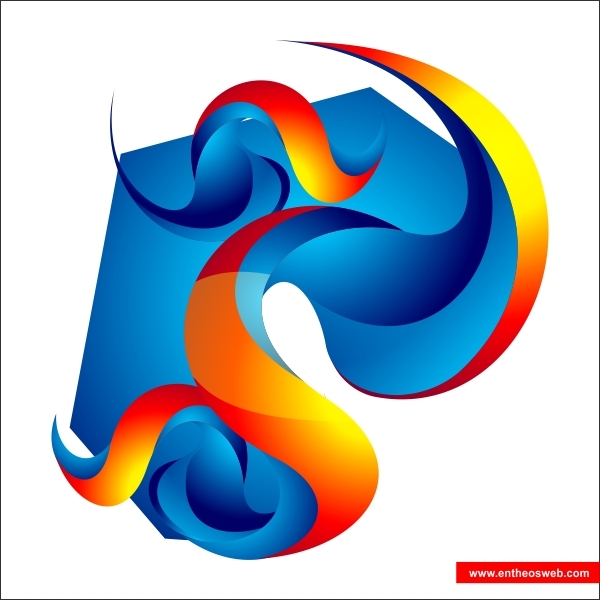 Put a blue gradient color in it using "Fountain Fill Tool". 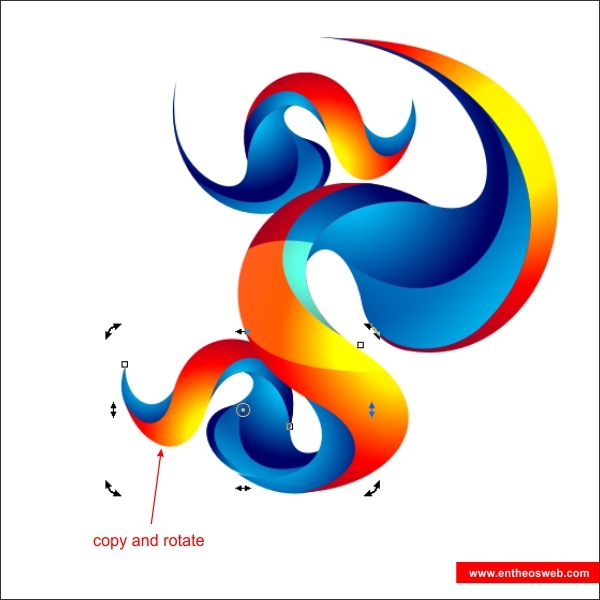 After that copy the ornaments using "Left + Right mouse click", resize and arrange it to the top of the original ornaments and resize it. 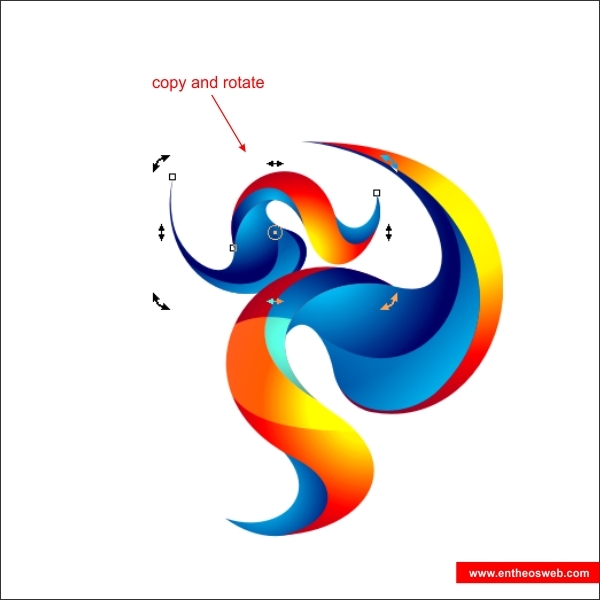 Copy and rotate it again, arrange it on the bottom of the original ornaments. 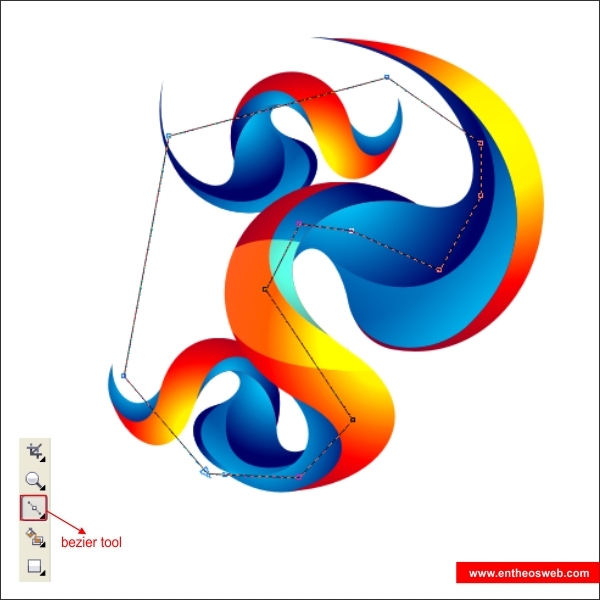 After that using "Bezier Tool" create a custom shape that cover the ornaments similar like below. 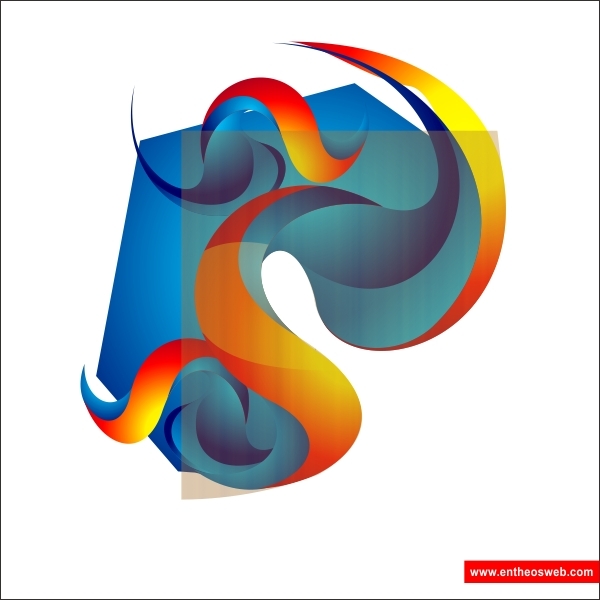 Put blue gradient color in it using "Fountain Fill Tool", and send it to back layer using "Ctrl + PageDown". 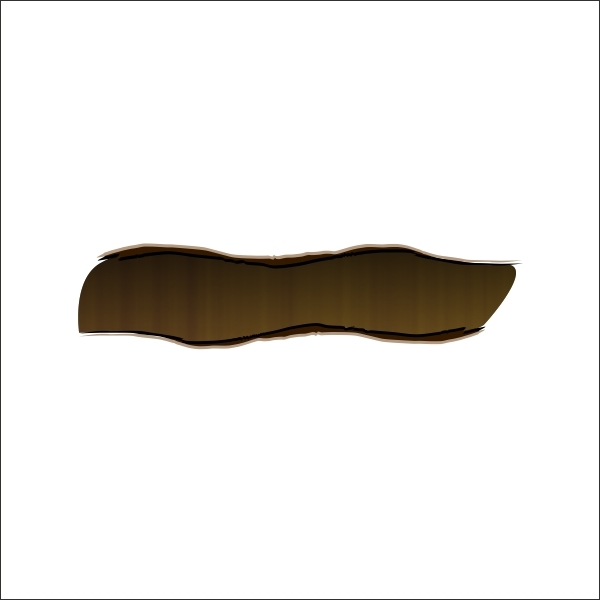 Okay now I need you to create another custom shape that cover the whole ornaments, this will be our container for the texture. 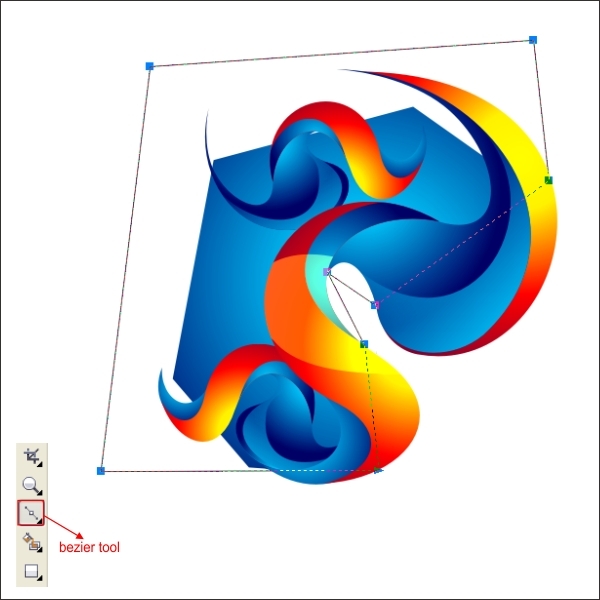 Shape it using "Shape Tool" and make sure you follow to flow of the original ornaments. 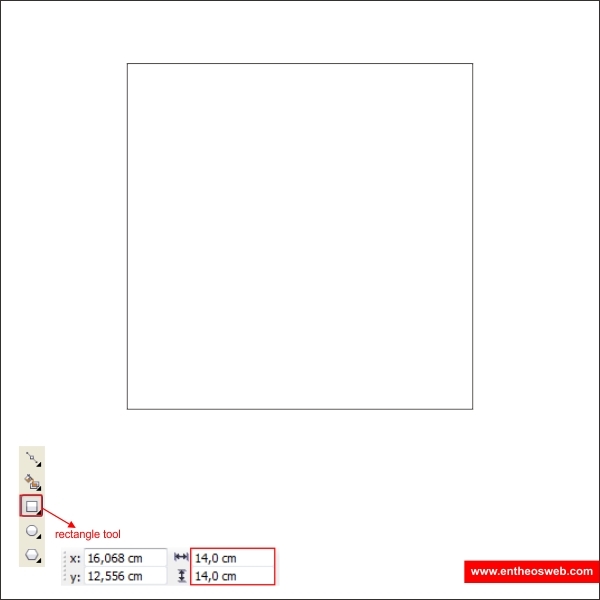 After that I need you to create a box shape using "Rectangle Tool", make the size 14 x 14 cm. 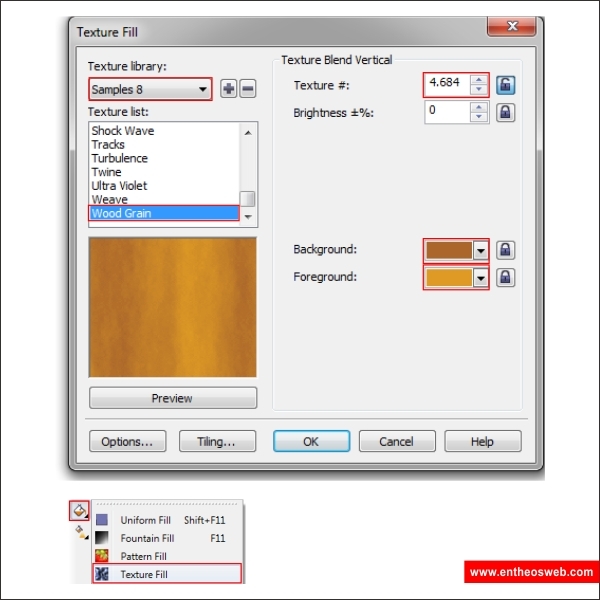 After that go to the "Texture Fill Tool", after the dialogue box appear set the texture library to samples 8 wood grain. 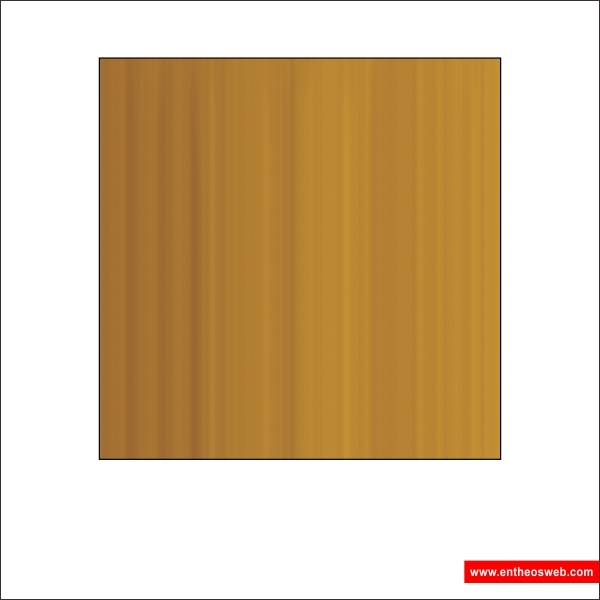 This will be our wood texture. 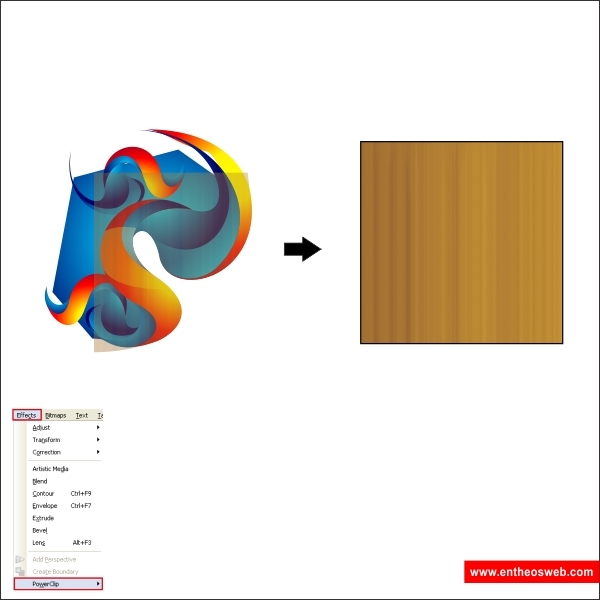 Okay now select the wood texture and place it inside the ornaments container using "PowerClip" same as step 5. 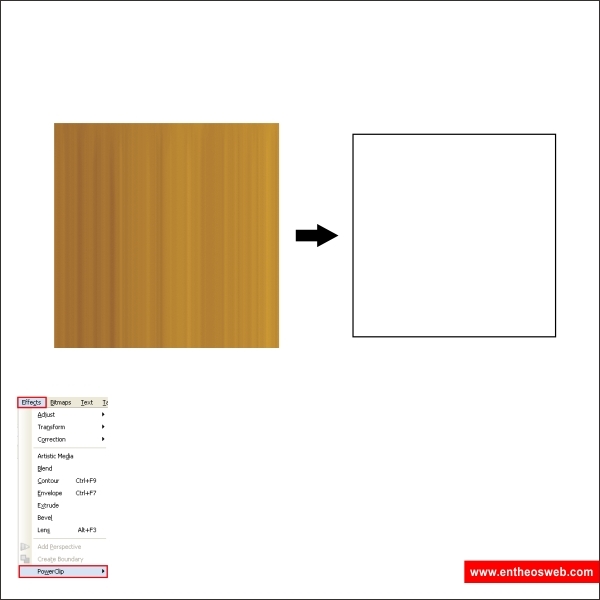 After that go inside the container by pressing "Ctrl + click", inside the container select the wood texture and apply the transparency value below. 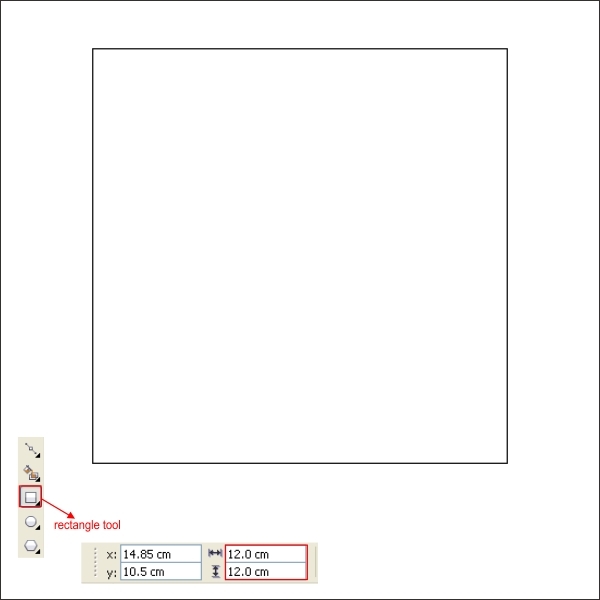 Okay now lets create the outer cd cover, create a box shape by go to the "Rectangle Tool" and resize it to 12 x 12 cm, which is standard cd case size. 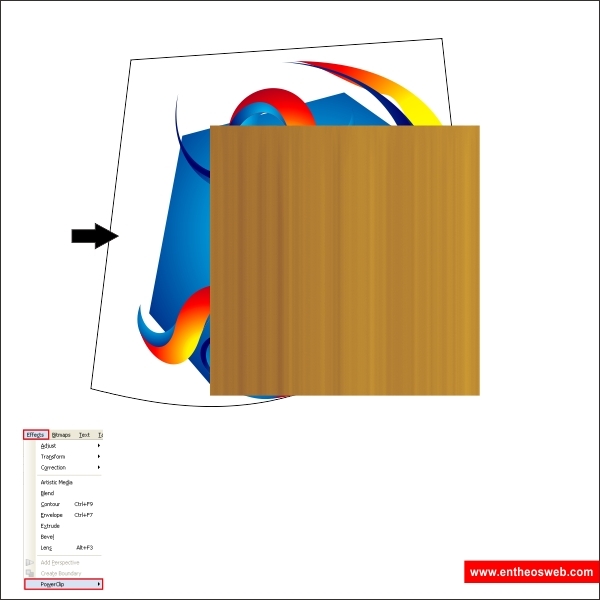 Now copy the wood texture again, and place inside the box shape that you previously create. 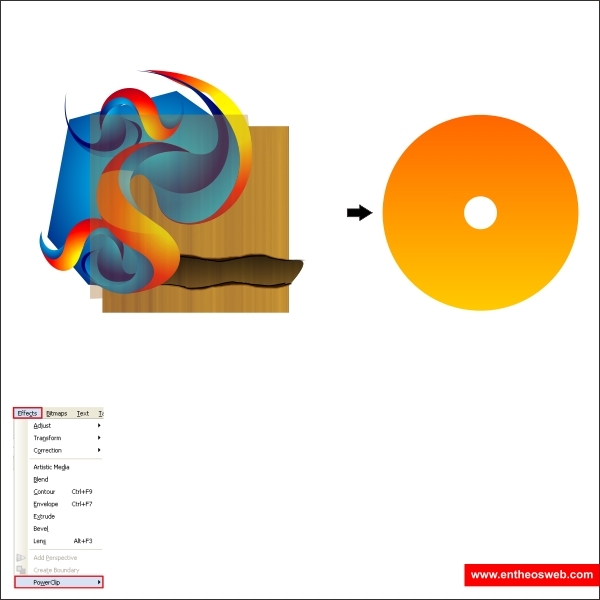 Okay now select the ornaments and place it inside the outer cd case using "PowerClip". 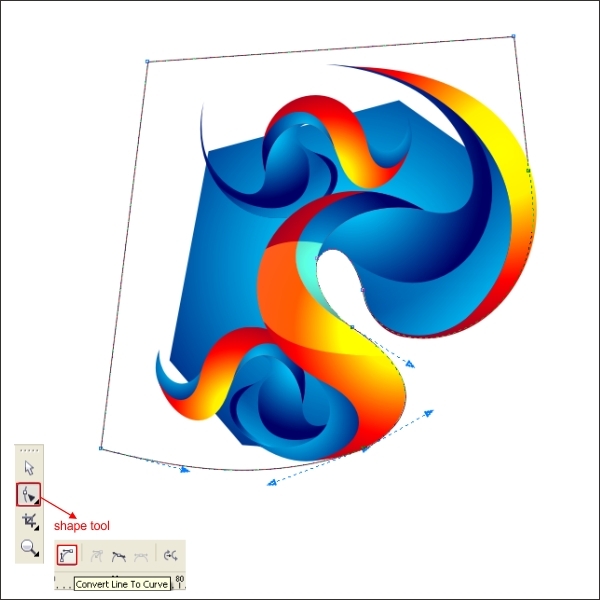 Okay now we are going to create the torn effects, go to the "Freehand Tool" in the left toolbar, and create a free swirl lines similar like below. 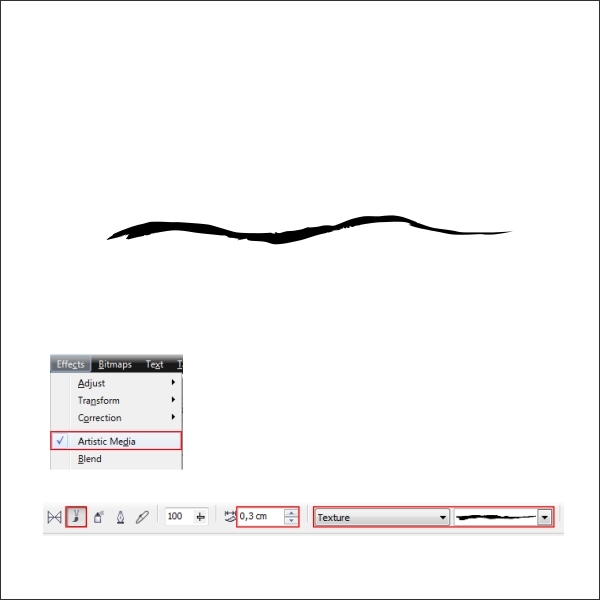 After that go to the top toolbar, find Effects > Artistic Media and apply the value below to create a brush effects. 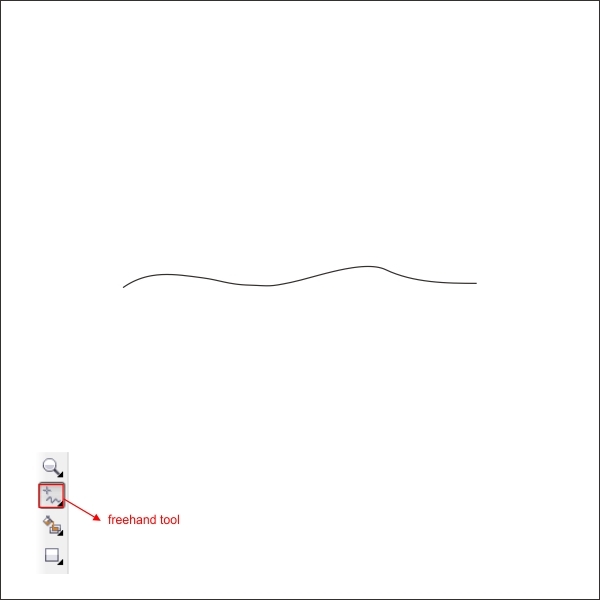 Break the brush using "Ctrl + K" after that rotate and copy it similar like below. 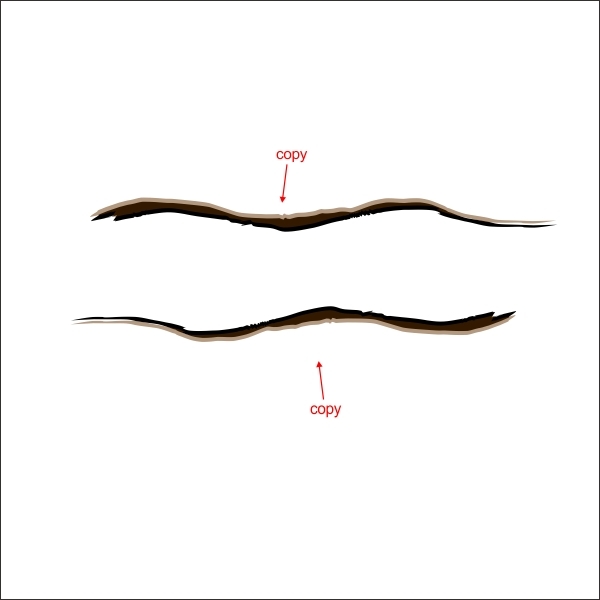 Copy it again and put a brown color on the copied brush. 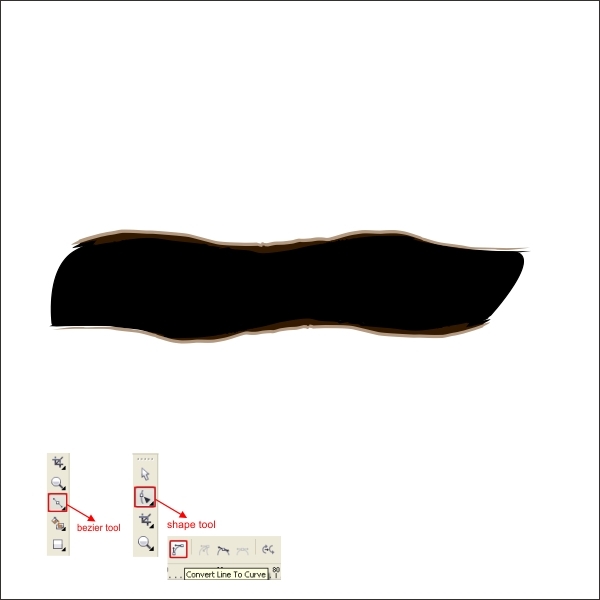 After that create a bottom custom shape that follow the flow of the brush similar like below and put black color in it, this will be our torn container. 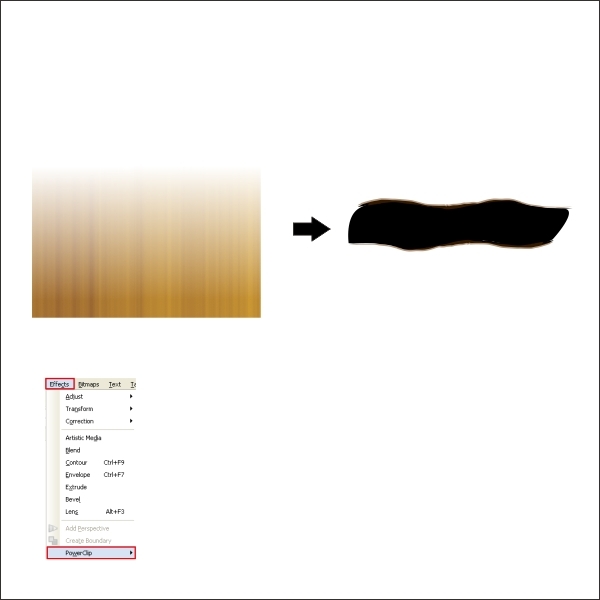 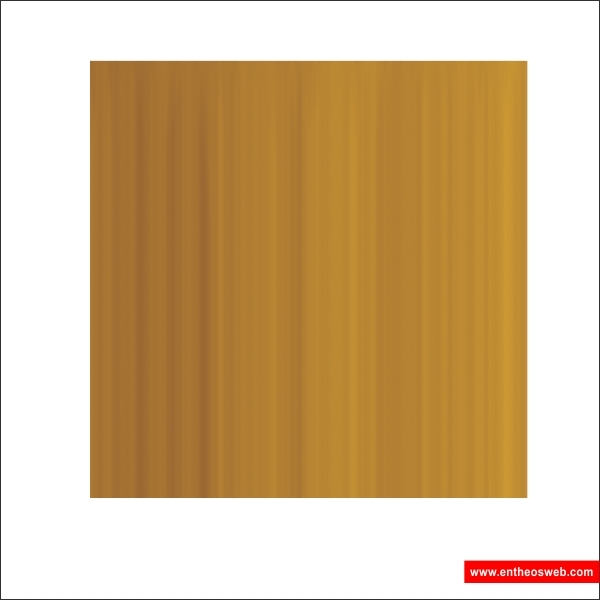 Copy the wood texture again and place it on top of the brush, after that using "Transparency Tool" drag the glass cursor from bottom to top to create similar transparency. 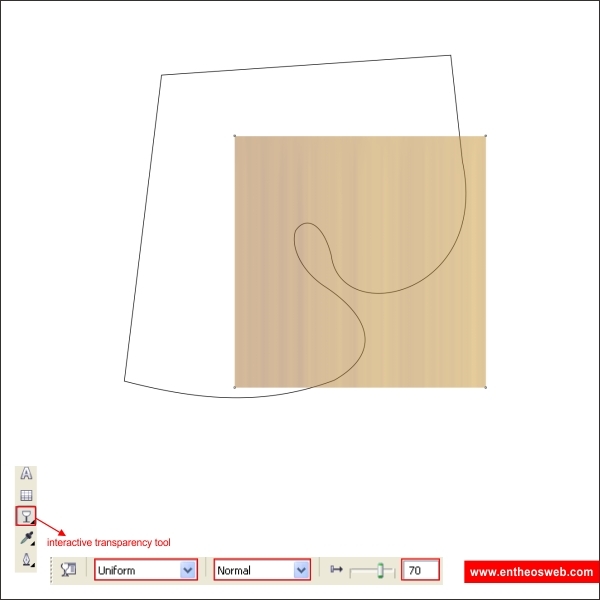 Select the wood texture and place it inside the texture container using "PowerClip". 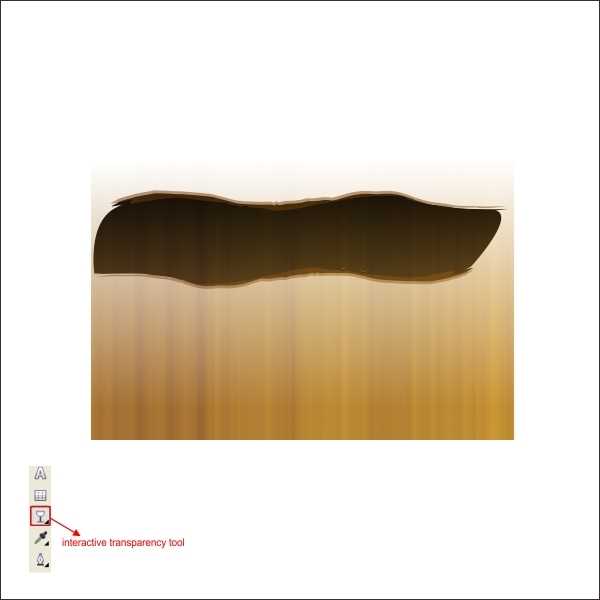 Now Place the Torn Effect inside the outer cd cover. 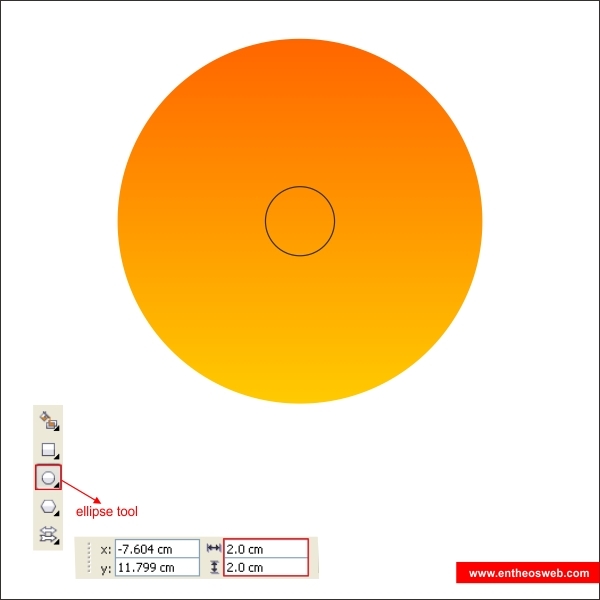 Okay now lets create outer cd cover, go to the "Ellipse Tool" in the left toolbar and create a circle shape with the size 12 x 12 cm. 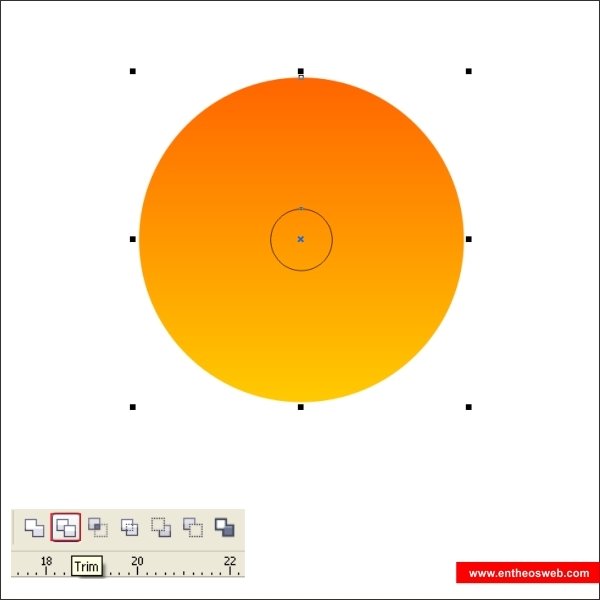 Put orange gradient color in it and create a second circle with the size 2 x 2 cm on the center of the first circle. 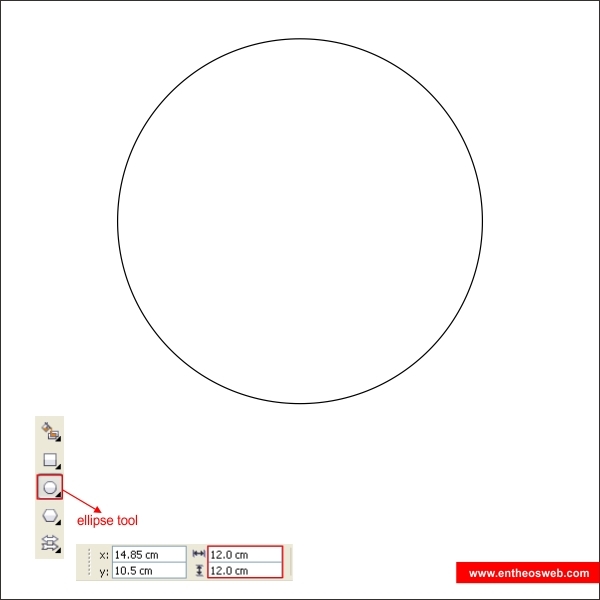 Select both of the circle and go to the upper toolbar find "Trim tool" to make the circle hollow. 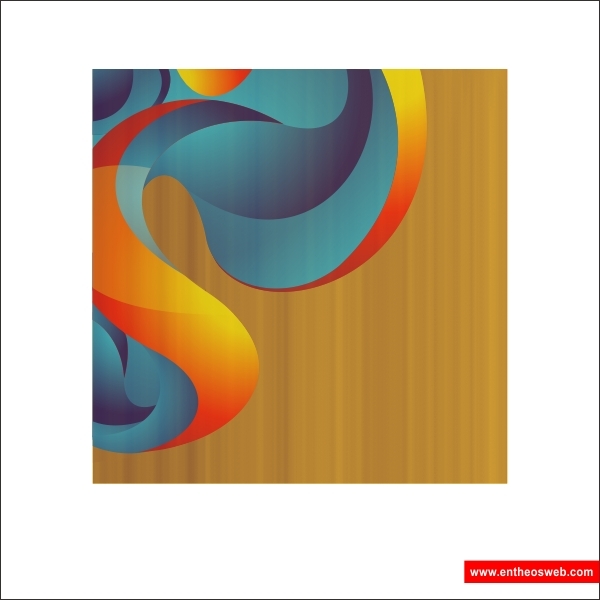 After that copy the ornaments in the outer cd cover and put it inside the inner cd cover using "PowerClip". 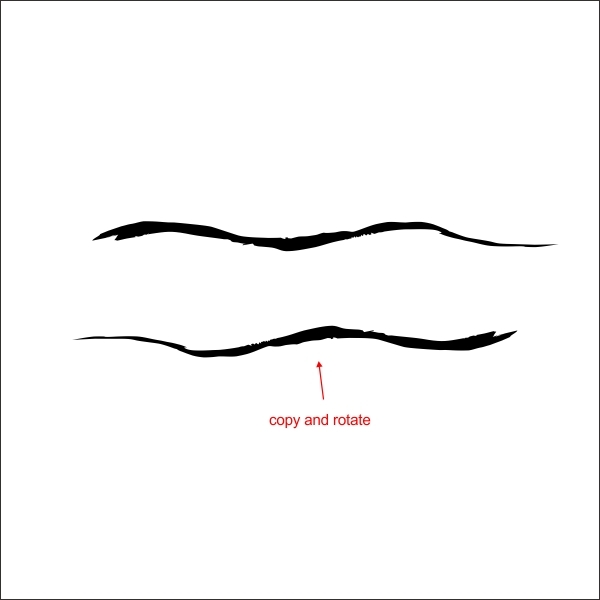 And we are done, by using the same technique as above you can add more details to the Cd Cover to make it more natural like the final image below. 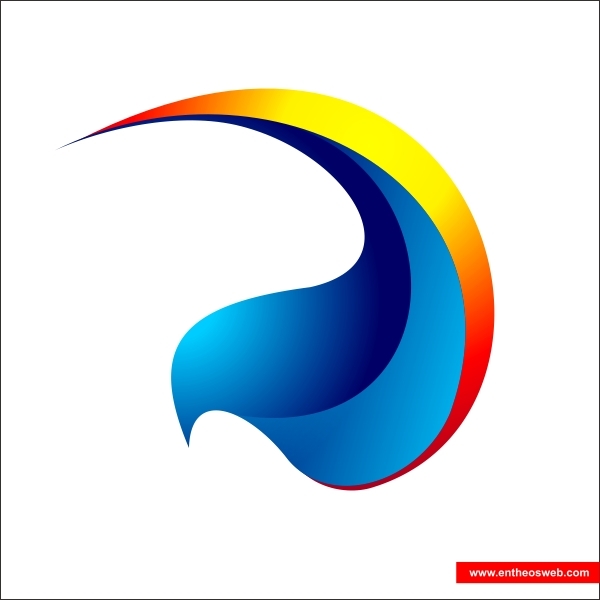 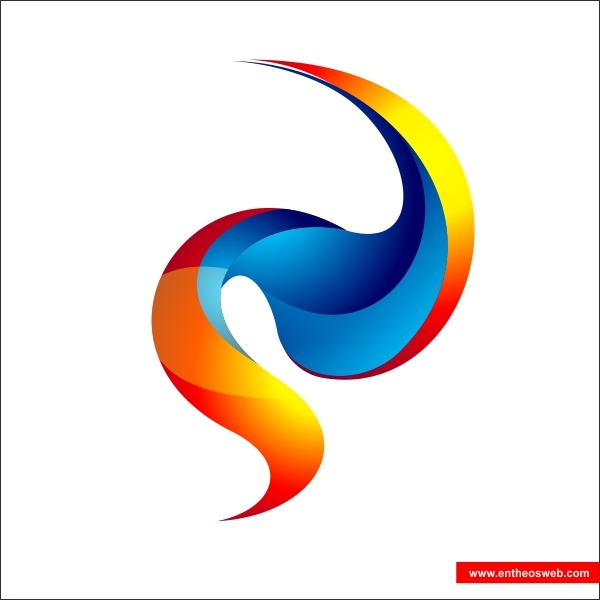 Looking for high-quality Logo Design? 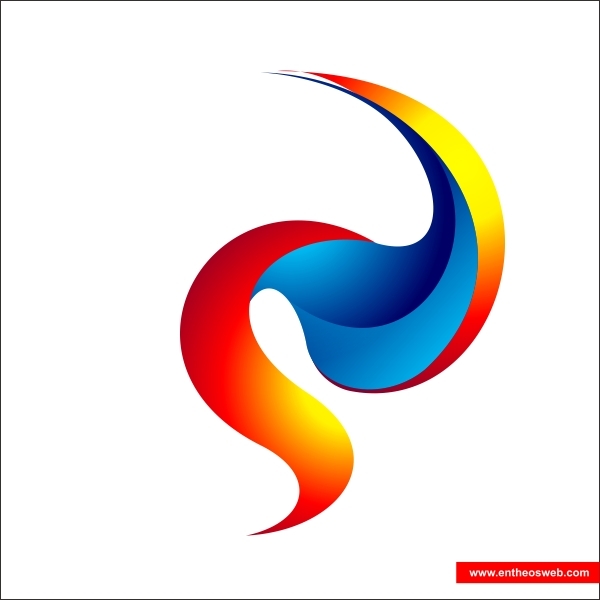 Contact us for custom logo design!